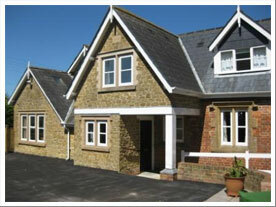 Welcome to the Old School Gables, set in the heart of the West Dorset rural village of Drimpton. This beautiful Victorian cottage offers comfortable accommodation with uninterrupted views of unspoilt, rolling countryside. 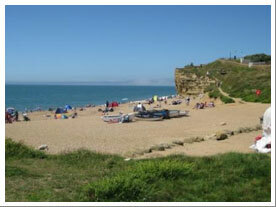 Close to the Jurassic Coast, guests can also enjoy easy access to Devon, Somerset and the Wessex region. 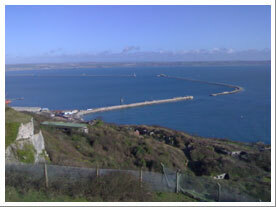 The cottage provides modern and well-equipped living accommodation for up to 4 people. The immediate area offers excellent walking, cycling and golfing opportunities with local bus and train services providing convenient links to the larger towns of Exeter, Weymouth and Taunton. 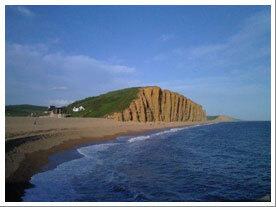 Bridport (West Bay) is approximately 20 minutes by car and Lyme Regis about 25 minutes. There are many attractive and easily accessible beaches along the Jurassic Coast between Weymouth and Exmouth, which are well worth a visit. The property has its own secure off-road parking (for two cars) and a badminton/short tennis facility for exclusive use of our guests. 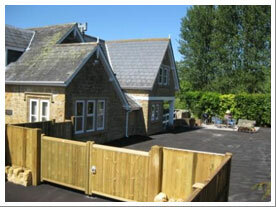 The gated grounds provide a safe and secure area for young children to play in. Throughout the year, the property is offered on a weekly/fortnightly package basis (changeover day Friday), however, tailored short break packages may be arranged during off peak times on request. Rental rates include all utilities, towels and a Welcome Pack of refreshments. Beds are freshly made for your visit. Dogs welcome (2 dogs over 1 year old).